Sergio Garcia’s US Masters victory has broken one of the longest droughts in major championship history and given the Spaniard the major that everyone in the golfing world had expected to come much earlier in his career. Since bursting onto the international stage and finishing second as a 19 year old in the 1999 US PGA Championship, Garcia has risen to become one of the best players in the world. His ball striking from tee to green is one of the best in the game but his putting has so often been his Achilles heel and cost him more than one major championship in the past. This Masters saw a more consistent performance from Garcia with the flat stick and he opened with rounds of 71 and 69 to easily make the cut for the weekend. With a round of 70 on Saturday, he was tied for the lead at six under and playing in the final pairing with Englishman Justin Rose on Sunday. The final round was set up superbly with many of the world’s best players in contention, including some former Masters champions. 2011 winner Charl Schwartzel, Australia’s Adam Scott who won in 2013 and Jordan Spieth, who ran away with the 2015 edition, were all chasing the lead duo. But as is so often the case at Augusta, the final paring was to produce the winner, and after both Garcia and Rose produced solid front nine’s, the contest was heading for a matchplay style shootout. Rose landed the first blows early during the back nine and held a two shot lead. If not for some typically dogged fighting play from Garcia, Rose could have found himself enjoying an even greater cushion. However, after a magical approach to the par 5, 15th which set up an incredible eagle, the momentum swung to Garcia and he managed to level the score. Both men hit superb tee shots to the par 3, 16th but only Rose could convert his birdie opportunity. Again, the Spaniard fought back and levelled after 17, and he should have closed the tournament out with a relatively short birdie putt on the last, but he pushed the ball to the right of the hole. The Sergio wobbles appeared to be reappearing. It was Rose who faltered though, with a wayward drive on the first playoff hole finding trees to the right of the fairway and he was forced to punch an iron out under some overhanging limbs. His contact wasn’t good and he only managed to progress his ball metres past Sergio’s, who had split the fairway and left himself in perfect position for his second. With an approach shot to 12 feet, the pressure was then all on the Englishman, and although Rose found the green with his third, he was unable to make par and put any kind of pressure on Sergio who then had two putts for victory – of which he only needed one. The Masters once again provided a fantastic test of golf and great viewing for millions of people all around the world. It is a tournament high on the wish list of many golfers, and those who make the pilgrimage to the hallowed fairways of Augusta National Golf Club are always amazed at the conditioning and challenge of the course and the way at which the best in the game are able to negotiate their way around it. Wherever your dream golfing destination may be, speak to the guys at International Golf Specialists (IGS) about turning that dream into reality. IGS have the experience and expertise to arrange the best golfing holiday for you and your golfing friends and can also accommodate non-golfing travelling partners. Their relationships with airlines, golf courses and hotels in Australia and around the world means they can provide the complete golfing holiday or tour and a great golfing experience. The 2017 US Masters begins this week at Augusta National Golf Club and there will be a number of Aussies in contention. Adam Scott will be looking to add another green jacket to the one from 2013, when he became the first Australian to win the year&rsquo;s first major championship. Coming into the event with a lot on his mind due to his mother&rsquo;s recent surgery for lung cancer, former world number 1 Jason Day has always been a man to watch at this event but he may simply have too much on his mind to be fully prepared for the huge challenge of the Masters. Day has come close before with a 2nd place finish in 2011 but to win at Augusta, there can be no distractions. That said, the 29 year old has the mental toughness to overcome the emotional rollercoaster he has been on during the last few weeks and focus on the one tournament he wants to win more than any other. Marc Leishman has shown some good recent form and won at the Arnold Palmer Invitational&nbsp; just three weeks ago. He too has featured high on the leaderboard on Sunday afternoon at Augusta and could again be the Aussie to watch at this year&rsquo;s event. His easy-going demeanour and consistency with all parts of his game are ideally suited to performing well at Augusta. Current World Number 1 Dustin Johnson has been in career best form over the past 12 months, and if he can dial in his wedge play will be a huge chance to win his second major. Johnson has the length off the tee and accurate iron play to put him into contention, but his approach play and short game has sometimes let him down at The Masters. Since winning last year&rsquo;s US Open, Johnson has dominated World Golf Championship events, and shown the golfing world the talent that many knew would eventually be on display from one of the best athletes the game has ever seen. 2015 champion Jordan Spieth threw away his chance to win back to back Masters last year when he made a disastrous quadruple bogey 7 at the par 3, 12th hole during the final round - handing victory to eventual winner, Danny Willett. Not since Greg Norman&rsquo;s meltdown in 1996, where the Australian threw away a 6 shot lead going into the final round, has anyone choked so badly to lose the Masters. The young Texan will be out for a second championship but it remains to be seen whether or not he has exorcised the demons from last year&rsquo;s capitulation. Whatever the result, millions of viewers from Australia and around the world will be watching the drama unfold on the back nine of Augusta National on Sunday afternoon (local time). This tournament is a favourite with many players and fans alike and is the only major championship to be played at the same course every year. The Masters is purely about golf. Corporate advertising is not allowed on the course. You will not see billboards or any kind of marketing material lining the fairways during Masters week. The caddies are required to wear white overalls, keeping them all easily identifiable and looking sharp. On course, The Masters is about looking after those patrons lucky enough to secure a Masters badge, which allows them access through the gates and onto the hallowed turf of Augusta. Prices of food and drinks are what you might have expected to pay in the 1980&rsquo;s. No price gouging here, only a respect for the game and its followers. As lovers of what we consider to be the greatest game of all, International Golf Specialists can create your dream golf holiday. We have destinations throughout Australia, New Zealand, Asia and South Africa and we cater for all group types and requirements. To begin planning your golfing adventure to the courses you&rsquo;ve always wanting to experience, speak to the guys at International Golf Specialists - Western Australia&rsquo;s Number 1 golf tour operator. The ISPS Handa World Super 6 Perth held on the weekend lived up to all expectations with three days of strokeplay and a final day of 6 hole match play games providing an exciting new format that the game of golf has needed for some time. It was fitting that West Australian native Brett Rumford took out his hometown event, not only for any sentimental reason, but for the way the 39 year old led the field from the end of the first round on Thursday until his victory over Thailand&rsquo;s Phachara Khongwatmai, 2 and 1, on Sunday afternoon. It was the ninth professional victory for Rumford, who has had a lean time recently, having been out of action due to injury and losing his European Tour card. His win sees him regain his spot on the European Tour and with a refined swing under renowned coach Gary Barter, with whom Rumford has begun working with recently, should see him gather some more good results in the season to come. Western Australia&rsquo;s number 1 course, Lake Karrinyup hosted the event and again provided a great test of golf and fantastic viewing for those who attended and watched on television. International Golf Specialists are the Number 1 golf tourism operator in Western Australia and have access to the best courses with the most convenient of tee times for our guests. 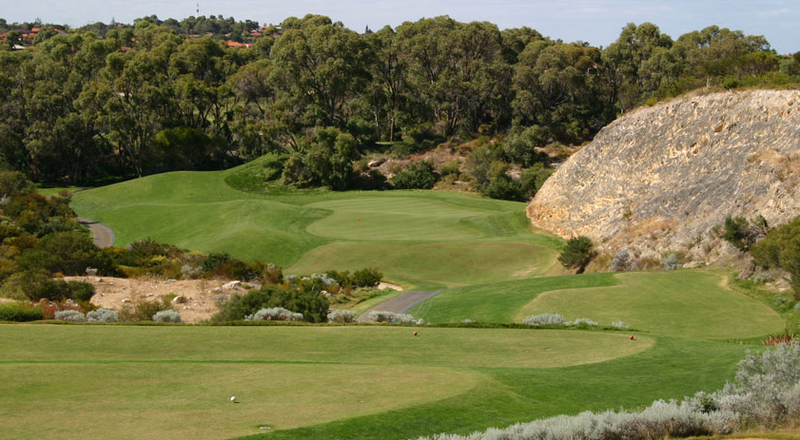 With quality courses such as Joondalup Resort, The Vines Country Club, Araluen Country Club and Meadow Springs, it is little wonder that the state produces golfers of the calibre of Brett Rumford. For the lovers of links golf, Kennedy Bay and The Cut are rated as two of the best links layouts anywhere in the country. Coastal and challenging, these two courses alone are worth the trip to Western Australia. The state is also home to great wineries and beaches. The Swan Valley region, within a half hours drive of the city, where you can sample fine reds and whites, is also home to The Vines Country Club where guests can enjoy on course accommodation and 36 holes of golf. Pools, a gymnasium and great food at the restaurants mean the easiest of stays. The same goes for Joondalup Resort with its 27 holes of incredible golf and a selection of villas and units, staying here is a great way to completely unwind and enjoy golf, the day spa and bars and restaurants. For guests wishing to stay within walking distance of the coastal areas to enjoy the amazing Perth mornings and watch the sun setting beneath the waves in the evening, we have options to suit all requirements. Our local knowledge means the location of accommodation will make transferring to your chosen courses as easy as possible. The 15000 seat Perth Arena sees many of the world&rsquo;s top artists and sporting teams perform regularly and a golf trip to Perth can be timed to coincide with a night of world class entertainment. The Crown casino hosts many musicals and shows and provides great choices of dining with restaurants such as Nobu and Rockpool. Then of course there are the bars within the casino itself with a choice of live music, a relaxing drink, or the chance to try your luck on the tables or gaming machines. Accommodation is available here and there are many options also available in the city, which is just a short drive from Crown and both domestic and international airports. To plan your long overdue trip to Western Australia and take in all the wonderful golf and attractions on offer throughout the state, speak to guys at International Golf Specialists today. The manufacturers of the world&rsquo;s best known golf brands spend millions upon millions of dollars on flashy advertising campaigns in an attempt to convince amateur golfers that their latest club, ball, shoes or clothing will help them to become better golfers. Buying new equipment is exciting. From deciding on which brand we want, through getting properly fitted and the purchase of our chosen gear, each step provides us with a sense of anticipation as we look forward to taking our new clubs out on the course for the first time. New clubs always look great and are sure to be a talking point with our fellow players, but in all the time I have played this game, there have only been a handful of times where I have seen new gear significantly improve a golfer&rsquo;s performance. Too often we are caught up in the hype of new technology and we really aren&rsquo;t honest with ourselves about what is best for our game. Personally, I am yet to find a better performing driver and three wood combination than the one that I purchased almost 10 years ago. I go to plenty of club demo days and try all the new club head and shaft combinations on Trackman etc etc, but I am yet to find anything that would justify the endless dollars spent by the big brands claiming this latest gear is better than anything they have produced in the past, let alone the hundreds of dollars they would like to take from me for the privilege of owning this equipment. Experiences on the golf course are something that no amount of clever marketing can sell you. Those times that you have with your favourite golf partners like taking the money when you were 3 down with 5 holes to play or watching the guy who always gives you shots crumble under the pressure of a four footer as you finally beat him off the stick. It doesn&rsquo;t matter what gear you&rsquo;re playing with, these times are simply irreplaceable. To make these types of experiences even better, International Golf Specialists are the leaders in arranging golf holidays and tours for groups and individuals throughout Australasia and beyond. Our tours to Barnbougle Dunes in Tasmania, for example, often include the best of golfing friends and many of these guests return year upon year to once again experience what is a highlight of their golfing calendar. Our Thailand and Vietnam hosted tour in 2017 will see groups from all over Australia join IGS Managing Director Gary Allomes on another truly memorable tour. Siam Country Club, Montgomerie Links and BRG Danang Golf Resort will feature as some of the highlights on this amazing tour. Our home town of Perth is a popular destination for groups wanting to take advantage of our local knowledge and options of a fully hosted tour with our staff taking care of all their requirements while they take in everything that Perth has to offer both on and off the golf course. For our guests wishing to explore the incredible golf on offer throughout New Zealand, IGS have recently expanded their product range to include more locations throughout the North Island. New Zealand is one of the fastest growing golfing destinations in the world and with one look at the amazing array of course scattered throughout the country, it&rsquo;s easy to see why. If you have ever considered getting your golfing friends and partners together and playing the courses you&rsquo;ve always dreamt of playing, then speak to the friendly team at International Golf Specialists about putting together the perfect itinerary for you. We can arrange everything for your tour including the best accommodation at the most convenient of locations and preferred tee times at the best courses each of our destinations has to offer. The fantastic experiences you have on our golf tours will stay with you for a lifetime and create many a talking point that may just stay around a little longer than that new $600 driver might! Golf&rsquo;s most exciting format change in years is set to hit the fairways of Perth&rsquo;s Premier golf course, Lake Karrinyup from 16th &ndash; 19th February 2017. The European Tour sanctioned ISPS HANDA Super 6 will bring a combined stroke and match play format to the European Tour for the first time and will feature some of the biggest names in the world of golf. Just as cricket has 20 &ndash; 20 and rugby has its 7 man form of the game, this new golf format is designed to bring fun and promote a more attacking aspect to the game of golf. The tournament will begin with 54 holes of stroke play with a cut after 36 holes and a further cut after 54 holes. The remaining top 24 players will then go into Sunday&rsquo;s round playing a 6 hole match play knockout format with the winner advancing to the next stage. The top 8 players from the stroke-play component will automatically advance to the second round of match play where they will face the winners of round one. From there the field is cut to eight, four and finally the two last remaining golfers to battle it out for the trophy. Should there be a tied game after the six holes are completed, players will then go to a specially made 90 metre hole to decide who goes through to the next round. This format is sure to bring some great variations in mindset and play throughout the week. Some professionals prefer stroke play and may not necessarily be the best at match play, where others prefer the one on one form of the game. This format will provide huge interest from television audiences around the world and is expected to attract record crowds to the venue from Australia and overseas. If you have ever considered visiting Perth for a golfing holiday or golf tour, then this event would be the perfect way to combine a visit to one of the world’s best cities with your chance to see an entirely new format of professional golf played on the world stage for the first time. What makes visiting Perth even more attractive for the keen golfer is the amount of world class golf courses available to play on during your stay. Within a short drive of the city are two of the best links courses you will find anywhere in Australia. The Links at Kennedy bay and The Cut provide fantastic tests of golf and will leave all players wanting to challenge these two oceanside tracks again &ndash; regardless of how well, or otherwise, they have played. The renowned Joondalup Resort and Meadow Springs Country Club provide picturesque courses of the highest standard, with great conditioning and facilities for you to enjoy a drink and something to eat after your round. Araluen Resort in the Perth Hills is a layout that has to be seen to be believed and every one of its 18 holes is truly memorable. Winding through native bush with some dramatic changes in elevation, this is a course that will always leave you wanting more and the restaurant and bar area perched above the 9th green provides patrons with great views of groups playing into this fantastic hole. International Golf Specialists will cater for any sized group wishing to visit Perth, and arrange all golf and accommodation requirements. Our recommendations are made based on the needs of each group and always take into account the proximity of hotels and motels to the locality of the chosen courses to be played. This ensures the easiest of commutes between accommodation and course. The option of a fully hosted tour with International Golf Specialists Managing Director Mr Gary Allomes guarantees an inside perspective to your tour with transfers and local knowledge available from Gary, who has spent more than 40 years in the travel industry and is a low handicapped golfer as well as President of one of Perth&rsquo;s private golf courses. 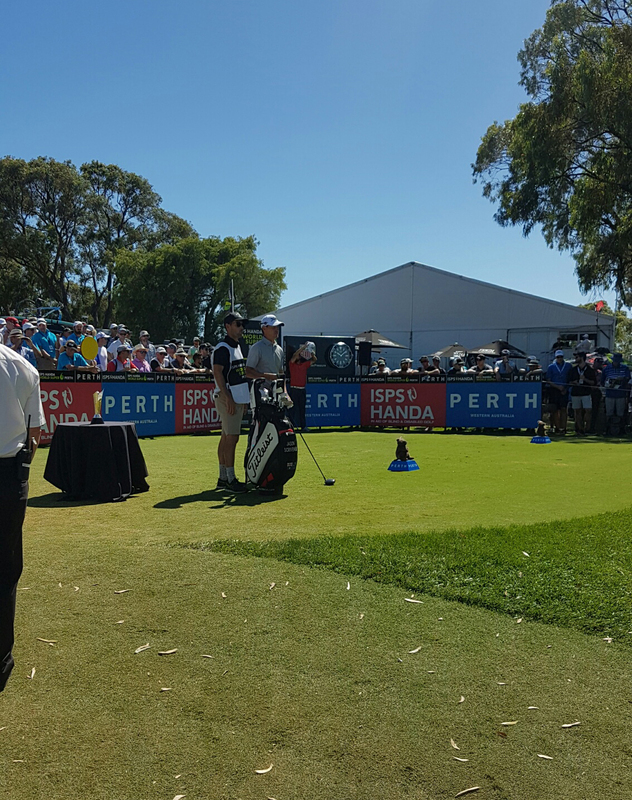 Speak with the team at International Golf Specialists today to find out the best options for you and your travelling party for your visit to Perth, and take in all the fun and excitement at the 2017 ISPS HANDA Super 6, as well as the best golf and off course activities that the city of Perth has to offer. Perth’s weather has turned for the better and those who have been missing their golf during the colder months will certainly be itching to get back out on the course. Spring and summer are great times to dust off the clubs and go back out the fairways. The wetter than usual winter in WA has provided ideal conditions for courses to flourish and the courses I have played in the last few weeks have been in magnificent condition. A visit to Perth during these times of year will see some of our best known courses in pristine condition. Joondalup Resort, Meadow Springs and Araluen are all fantastic layouts that are must plays for any keen golfer visiting WA. Mix these great courses with two of the best links style layouts anywhere in Australia with The Cut and Kennedy Bay. Both are located near Mandurah, just south of Perth. 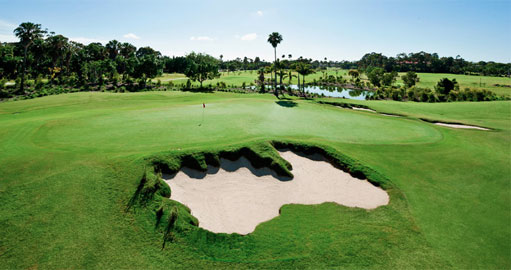 No matter how you play on these tough layouts, you will want to come back. A good round will have you believing in your game and a not so good effort will have you counting down the hours until you can tackle either of these challenging tracks again. Accommodation options throughout WA are numerous and varied. Resort style, beachfront and city stays are all available and IGS will recommend the best locations depending on your requirements for golf and off course activities. With Christmas approaching, many companies around Western Australia are looking for ways to generate new business and reward customers and staff who have remained loyal to them over the last 12 months .International Golf Specialists not only provide the best golfing holidays throughout Australia and abroad but also cater for businesses wanting to host corporate golf days. These days are always well remembered by everyone participating and, with everything pre-arranged by the IGS team, the only requirements for participants are to show up and tee up. IGS offer full day 18 hole events and nine hole half day options - depending on the time and budgets of our clients. Lunch, dinner, novelty holes, drinks packages, prizes and guest speakers are all available to create a truly memorable experience. Many business deals are done during a round of golf, and over a drink afterwards in the clubhouse. Golf is a great way to form close relationships with customers and friends, and the way players handle their game often provides an insight into how they handle work and life! Speak directly with the IGS team about your next golfing holiday or corporate golf event for an obligation free rundown on the best options we have to cover the requirements of you and your partners Whether you’re looking for a getaway to any of our great destinations, a hosted tour with Managing Director, Gary Allomes or the best corporate golf day you can have, International Golf Specialists are here to create Great Golfing Experiences. Arnold Palmer epitomised everything great about the game of golf. He was known as ‘The King’ for more than just his golfing abilities, and his charisma sometimes outshone his huge golfing talent. He was the first to introduce a swashbuckling style to a game which had so long been thought of as one played by stuffy old men wearing funny hats. Palmer’s choice in clothing brought a sense of cool to the fairways, with his broad collared shirts, perfectly ironed pants and fashion sunglasses which said more 'Steve McQueen' than 'professional golfer'. Palmer was golf’s first millionaire and his income from the game and business interests surpassed anyone else in the game’s history, even year’s after he retired. Perhaps, even more, endearing to his millions of fans around the world than his golfing prowess was the integrity he displayed both on and off the golf course. Galleries were always on his side, willing him on to victory but Palmer always made sure the playing field was level and would often call for his adoring fans to settle down and show respect to his playing opponents so that they too were afforded the same courtesy he was shown. It’s hard to believe now, but even the great Jack Nicklaus encountered hostile crowds when he first came onto the professional circuit and was duelling for victory in many tournaments against Palmer. It would be interesting to get Arnold Palmer’s thoughts on The Ryder Cup. The biannual event held between the best golfers from Europe and the United States has seen its fair share of controversy over recent years and sometimes the spirit in which the games have been played has been questionable. This doesn’t apply only to the actions of some of the over-excited players. The crowd behaviour has also been poor in both the US and Europe. Parochial home crowds have taken the intensity to fever pitch levels and it can be hard to get used to crowds cheering when putts are missed by the other team – this is something that is just so foreign to fans of the game of golf. The 2016 edition played at the Hazeltine National Golf Club in Minnesota, promised to bring all the usual drama that has played out over almost every edition of golf’s largest international team’s competition. However, it was the USA who grabbed home advantage with both hands and ended up resounding winners. They broke Europe’s winning streak over the last 3 events and claimed a 17 – 11 victory. There were some epic duels with Rory McIlroy just upstaged by Patrick Reed in the singles but much of the focus had been on the heckling that McIlroy received from some members of the crowd. The Northern Irishman asking for one particularly unruly individual to be ejected when his comments towards him crossed the line. Things could well have been inflamed even before the event began, when the brother of 2016 US Masters champion Danny Willett, wrote an article that appeared in National Club Golfer Magazine stating that Europe needed to "silence the pudgy, basement-dwelling irritants" and "smash the obnoxious dads, with their shiny teeth, Lego man hair, medicated ex-wives and resentful children". He went on to describe Americans as "fat, stupid, greedy and classless". This surely provided some of the American crowd with plenty of ammunition and reason for vitriol against the Europeans and a source of motivation for the members of the American team. However, it was refreshing to see great sportsmanship between the teams. Many of these guys compete week in, week out on their respective tours and are firm friends away from the course. The post-match press conference saw smiles from both teams and reflected the spirit that we want to see the game played in. The Ryder Cup’s next edition will be played out in Paris at Le Golf National in 2018 and will be a fantastic event for everyone playing in and attending. To create your dream golf holiday and play some of the best golf courses in the world with the people you like to beat the most, speak to the team at International Golf Specialists today. To seasoned golf fans, non-golfers, and even those familiar with the intricasies of the rules of golf, the situation in which Dustin Johnson found himself en-route to his first major victory in this year&rsquo;s US Open, would have been puzzling, confusing and may have even seemed downright ridiculous. Johnson incurred a one shot penalty for his ball moving backwards as he prepared to tidy up for par from around three feet on the par four 5th hole during his final round. Rules officials deemed that the two practise strokes he made before moving his club behind the ball, had caused the ball to move. To anyone watching who has played the game of golf, or for that matter, anyone with the most basic understanding of the laws of physics, would surely have concluded that there was no possibility that the big hitting American&rsquo;s actions could have caused the ball to move. The ball&rsquo;s movement was backwards from the hole, in exactly the same direction as Johnson&rsquo;s putter, and occured as he went to place the putter behind the ball. The fact that the putter was still above the ground, though, indicates that Johnson&rsquo;s actions could not have caused the ball to move as he had not applied any pressure to the ground behind the ball. If it were his practise strokes that caused the rotation of the ball, then the ball would surely have moved in the direction of Johnson, rather than away from the hole. Even worse was the fact that the ruling officials didn&rsquo;t make a call on the ruling immediately. Instead, they waited until the 12th hole to advise Johnson that they were looking at the incident and would make a decision on whether to slap him with a penalty after reviewing all of the footage at their disposal. To Johnson&rsquo;s credit, the incident and the fact that he was facing the possibility of losing yet another major championship because of a rule violation, was taken in his typically laid back stride. Aside from one shot which could be attributed to his mind becoming distracted because of the incident, he played the remainder of his final round like a man on a mission with huge, accurate drives, precision iron play and the touch of a surgeon when he was on or around the putting surface. All parts of his game finally came together when he so wanted it to, and he took out his National Championship. There is a certain honour amongst golfers. It is one of, if not the only sport in the world where competitors call penalties on themselves for indiscretions, even if their playing partners haven&rsquo;t seen the incident. And while this is commendable and should be encouraged, every now and then we have an incident, such as the one Dustin Johnson was involved in, where the game of golf can seem over governed and stuffy -&nbsp; the type of game that the elite would play because only they could make up so many unnecessary rules and regulations. With the number of people taking up golf in the decline, the sport needs an image facelift. Over the last 20 years, players like Tiger Woods and Rickie Fowler have helped to remove some of the &lsquo;Old Man&rsquo;s Game&rsquo; stigma often associated with golf in the past, but for people, and in particular young people who may want to take up the game, we cannot have incidents on one of the game&rsquo;s biggest stages throwing the integrity of the game into question. Golf needs to continue to revamp its image and move forward with exciting new formats and competitions that will capture the imagination of those who may be contemplating swinging a club for the first time. The R&amp;A and USGA need to look at removing unnecessary rules that slow down or frustrate players. Or for that matter, make viewing the game on television less enjoyable. The playing field still needs to be level and fair, but there is a lot that could be done to make the game and some of its laws more understandable and straight forward. This could avoid the necessity of controversial rulings like the one we saw at Oakmont, which could have potentially have overshadowed one of the finest final rounds of golf played in the history of US Open&rsquo;s on one of the world&rsquo;s toughest layouts in recent memory. To avoid any confusion, frustration and red tape when preparing your next golf holiday, speak to the guys at International Golf Specialists. Our experience in the golf travel industry removes any complications and provides the best and most enjoyable golf holiday to some of the world&rsquo;s greatest golf locations. So much has already happened in the world of golf in 2016 and we are sure for more drama at the year’s second major, the US Open, which begins at Oakmont Country Club in Pennsylvania on Thursday. Oakmont last hosted the US Open in 2007 in a year that saw Argentina’s Angel Cabrera finish at +5, good enough for a one stroke win over Tiger Woods and Jim Furyk on a course that chewed up then spat out some of the best players in the world and made making pars feel like making birdies. Expect Oakmont to once again provide a brutal test of golf which will typically reward long and accurate driving and advantage those who somehow manage to stay out of the unforgiving rough. Courses that host the US Open are traditionally set up to be tough. Narrow fairways, ridiculously thick rough - which often leaves no option but to hack out sideways, and slick, undulating greens with holes set up in the toughest of positions. Much interest will be focused on ‘The Big Three’ - defending champion Jordan Spieth, World Number 1 Jason Day and the 2011 US open winner, Rory McIlroy. After Spieth’s capitulation at this year’s US Master’s, where he blew a five shot lead in the space of four holes, questions will be asked about any mental fragility he may have should he put himself in a position to make a run for the title on Sunday. Jason Day will be the prominent Australian and his recent run of victories in around every second tournament he tees up in, will see him full of confidence and packing the all round game to win his second major. Day’s win at last year’s USPGA Championship seems in the distant past, so proficient has his winning record been since then. The accuracy and level headed approach of Adam Scott means he will also be a good chance for an Australian to win the 2016 tournament which will mark ten years since the last Aussie, Geoff Ogilvy won the 2006 event. This year’s US Masters winner, Danny Willett, may be another man to watch. One of the form golfers at present, Willett has the all round game to back up with a second major and replicate Spieth’s efforts of 12 months ago by winning the first two majors of the year. A winner will be extremely hard to pick with the course and conditions sure to bring a number of long shots into the equation on Sunday afternoon. Phil Mickelson’s recent form suggests the left hander may finally break his US Open hoodoo and add the title to the other three major championships he has won. Mickelson has been runner up six times in US Open’s and has come agonisingly close to taking out his national championship. He recently described this year’s venue as “The hardest course we’ve ever played”. The fact Oakmont will be that tough may play into Mickelson’s hands with the 45 year old’s amazing wedge game likely to dig him out of trouble throughout the week where others may not be so lucky. There are some things that US Opens throw at competitors that simply cannot be prepared for and the experience of the older heads in the field means the elder statesmen of the game such as Mickelson and fellow American Steve Stricker could be well in the hunt coming into the back nine on Sunday. Whatever the eventual outcome, the 2016 tournament will be well worth watching. For your next golfing holiday packages to some of the world’s best golfing destinations where the preparation and hard work has already been done for you, speak to the guys at International Golf Specialists. Our in depth knowledge of the courses, accommodation and attractions at each of our amazing destinations lets us create the best golf holidays and tours where your only requirement is to ensure your clubs are clean and bags are ready for a golf holiday to your chosen destination. IGS caters for individuals, groups and non-travelling partners and family. There are also options of escorted golf tours for people wanting to enjoy the easiest and most relaxing of golf holidays. Covering Asia, New Zealand, Mauritius, South Africa and Australia, IGS golf holidays provide the best available tee times at each destinations premiere courses. The most suitable accommodation for every group&rsquo;s requirements and budget is recommended, and the location of the hotels, resort or apartments we recommend are taken into consideration to allow the easiest of access to and from the golf courses and local entertainment. Call the guys at International Golf Specialists for an obligation free chat about tailoring the ideal golf holiday for you and your golfing partners. With a consistency few professionals have shown in the past, Jason Day is establishing himself as the man to beat at every event he tees up in. His astonishing recent record of 7 wins from his last 17 starts, including The Players Championship a week ago, has put the golfing world on notice that he is a man at the top of his game and one who plans to stay number one in the world for some time. Day’s drive and determination are becoming increasingly apparent to those who have watched him over his years on the PGA Tour. His focus and mental toughness are enviable and his ability to come back from adversity and to put bad shots and tough breaks behind him is similar to some of the greats of the game such as Nicklaus, Woods and Palmer. There is no doubt that Day also wants to be referred to as one of history’s greatest players. He referred to victory at the Player’s as a necessity to be inducted into Golf’s Hall of Fame and he obviously has his eyes set on many more regular tour and major victories. His standing as a player is matched by his straight talking and direct manner which has seen him become a favourite with media, fans and fellow players. Greg Norman and Adam Scott have long been revered as two of Australia’s greatest players but one senses that Jason Day would like nothing more than to go down as this country’s best ever. For your chance to enjoy the greatest golf courses and explore the world’s best golfing destinations, speak to the guys at International Golf Specialists today. Jason Day, Adam Scott, Jordan Spieth and Bubba Watson. Four of golf's biggest stars and most exciting players, are also the four most likely to contend late on Sunday for the 2016 US Masters. With Day winning last weekends Arnold Palmer Invitational and Scott winning twice on the USPGA Tour already this year, Australia will be well represented at this year's first major. Current World Number 1 Jordan Spieth has yet to show this year the kind of form which rocketed him to the top of world golf in 2015, but can never be discounted in the game's biggest events. Fellow American Bubba Watson has also won this season and the two time Masters champ will be a tough man to stop over the last nine holes at Augusta National. With so much great golf coming up in 2016, now is a great time to begin planning your golfing getaway. Start the plans by speaking to the guys at International Golf Specialists and have them create the best golf holiday for you. Our customised tours mean ease of planning and provide the best golf and ensure you get the best out of your chosen destination. Adam Scott is showing the golfing world that his transition from long to short putter has been as smooth as his free flowing swing. Recognised as one of the best ball strikers on tour, Scott&rsquo;s Achilles heel has often been the flat stick. Tee to green, the 35 year-old Australian has produced stunning ball striking week in - week out, but has struggled to show the same consistency once on the putting surface. However, his game is all coming together in early 2016 and he will be looking for a huge season ahead. With victory in his last two starts on the USPGA Tour at The Honda Classic and WGC Cadillac Championship, Scott will be eyeing up a repeat of his maiden major victory when he tees up at The US Masters in early April. The 2013 champion will start as one of the tournament favourites with both fans and bookmakers. Another player in red hot form is two time Masters winner, Bubba Watson. Taking home green jackets in 2012 and 2014, Watson must be thinking he is once again due in 2016 with the Augusta layout seemingly tailor made to the unorthodox left handers game. Watson&rsquo;s 2nd place finish to Scott last weekend was a turnaround from his victory in the Northern Trust Open just two weeks earlier where he himself had held off Scott by one shot. This year&rsquo;s US Masters will once again provide all the drama and excitement we have come to expect of the season&rsquo;s first major and a visit to Augusta&rsquo;s hallowed fairways is on the wish list of many golf fans. Whatever your golfing dreams and wherever you would like to experience playing the greatest game of all, speak to the guys at International Golf Specialists today about creating your ideal golfing getaway. The AT&amp;T Pebble Beach Pro Am must surely be one of the most enjoyable events on the schedule of the PGA Tour for golf professionals, and would be eagerly anticipated by the amateurs who get to play alongside the best in the game. Played at Spyglass Hill Gold Club, Monterey Peninsula Country Club and Pebble Beach in California&rsquo;s Monterey Bay area, the 2016 event was won by Vaughn Taylor who had entered the week ranked number 447 in the world. His one shot win over Phil Mickelson was his first since 2005 and third on the PGA tour. Victory saw him take home US$1.25M in prize money and catapult him back inside the Top 100. What makes this tournament so enjoyable for the professionals and amateurs alike, is the variety of courses they play throughout the competition. All are world class and, Pebble Beach in particular, world famous. To have the opportunity to compete on these amazing courses throughout the week makes for a truly memorable event for players and spectators. International Golf Specialists provide golf tours to some of the world&rsquo;s best golfing regions and our tours always offer a variety of on course and off course experiences to suit all members of our groups. With 35 years of experience in the travel industry and a love of golf, we can tailor a personalised package to take in your chosen regions best courses and attractions. To begin planning your International Gold Specialists holiday, speak to the guys about putting together your perfect golfing getaway. 2016 looks set to be one of the best years ever in professional golf, with the World Number 1 spot likely to change hands between three of the world’s most exciting young golfers - all from different corners of the globe. Current World No.1 Jordan Spieth has already stamped his mark on the year with victory at the season opening Tournament of Champion in Hawaii. The Texan recently regained top spot from Australia’s Jason Day who is fulfilling the huge amount of promise he has shown in recent years. Not to be left out of the mix is Northern Irishman Rory Mcilroy who is sure to feature at this year’s majors. The main events on the golf calendar will be waited for with even more anticipation than usual as the new ‘Big Three’ will surely all contend. For International Golf Specialists, we too are looking forward to our best year ever with more tours and new destinations added to our already impressive product list. With hosted tours to Thailand, Vietnam, New Zealand and Tasmania this year, we will take an even greater number of golfers on their ‘Great Golfing Experience’. To be part of these tours, for your own personalised golfing getaway or a Corporate Golf Day to reward the people important to your company or business, speak with Gary and the team at International Golf Specialists today. The excitement of this week’s Australian Open has added to what has already been one of the most enthralling beginnings to this year’s summer of golf. Matt Jones claimed victory at his home course, The Australian Golf Club, holding off world number 1 Jordan Spieth and Australian Number 1 Adam Scott in what was one of the most dramatic final rounds ever seen in this country. Jones began the round with a three shot lead, but saw this dissolve inside the first two holes with some uncharacteristic sloppy play. Likewise, Spieth also dropped shots over first few holes and missed a great chance to stamp his authority on the tournament. These slips allowed Adam Scott to come back into the fray, and, with the round of the day of 10 under 61, veteran Rod Pampling come from 4 over at the start of his round, to hold the clubhouse lead at 6 under the card. Jones showed his class throughout the back nine with flashes of brilliance and solid play to finish a deserved winner. The performance of the New South Welshman and great showings from Scott, Geoff Ogilvy, Brett Rumford, Terry Pilkadaris and Pampling, as well as strong performances from some of the up and comers of Australian golf, not only showed the depth of the game in this country, but highlighted the resurgence of the sport in Australia. With world class courses and amazing destinations on offer throughout Australia, contact International Golf Specialists about securing your great Australian Golf Experience today. 56 year old Peter Senior has once again seemingly turned back time, with an incredible two stroke victory at the 2015 Australian Masters. This was Senior’s third gold jacket with his two previous titles coming in 1991 and 1995. The win was also Senior’s second victory on the Australasian Tour in the past three years, having also taken out the 2012 Australian Open. Senior’s win was made all the more remarkable considering some of the title favourites in the field included World Number 12 Adam Scott and fellow Australians Steven Bowditch, John Senden and Brett Rumford. For Scott, a third round 77 in blustery conditions at the magnificent Huntingdale Golf Club, meant he was always going to struggle to get back into contention in the final round. Having led after the first round, the tournament could well have become a procession if not for his slip on Saturday. The Queenslander showed some flashes of brilliance on Sunday afternoon but it was never going to be enough. It wasn’t all plain sailing for Senior, either. A wayward tee shot on the tough Par 4 17th led to a bogey, but a brilliant up and down from a greenside bunker on the last, saw him take a one shot lead into the clubhouse, where he calmly watched on as his challengers faltered. This was a fantastic result for one of Australia’s most popular players and a great result for golf, with the game once again proving it knows no limits when it comes to age. For your chance to experience the best on offer in Australian golf, speak to the team at International Golf Specialists today. This week’s Tour Championship sees five players for whom victory will mean they also claim the 2015 Fedex Cup. Australia’s new World Number 1 Jason Day leads the list of contenders and will more than double his already impressive earnings for the year should he take out the first prize of almost $1.5 Million and the $10 Million The Fedex brings with it. Rory McIlroy, Jordan Spieth, Rickie Fowler and Bubba Watson are the other superstars of the world golf stage who will also be vying for golf’s richest prize. While there are others who mathematically could still win, dependant on the results of the top five, it is most likely that one of these guys will take out the title. This will be a tournament not to be missed and will almost certainly create as much interest as any of this year’s major championships.The golfing world is licking its lips in expectation of the much anticipated drama which will undoubtedly unfold late on Sunday afternoon at East Lake Golf Club outside of Atlanta Georgia. It was here that the great Bobby Jones first took up the game of golf and it is fitting that the course should see some of today’s biggest stars battle it out for the 2015 Fedex Cup title. Golf has a new Australian World Number 1 with 27 year old Jason Day reaching the sports highest peak with a six shot victory in The BMW Championship. Day leapfrogged Jordan Spieth and Rory McIlroy to become the third Australian to be ranked the world’s best player. Day’s form over the past two months has been incredible having also won The Canadian Open, The USPGA Championship, and The Barclays since his narrow miss at the Open Championship in July. He follows Greg Norman, who was the first Australian to hold the Number 1 ranking in the 1990’s and Adam Scott who held the mantle for 11 weeks in 2014. Norman was the world’s best player for a total of 331 weeks with his consistency key to his long reign at the top. Many expect Day, Spieth and McIlroy to become the next ‘Big Three’ as Nicklaus, Palmer and Player had been in their heydays and with the calibre of golf these three young guys are playing, those predictions may not be far wrong. The long wait for major success is over for Jason Day. Having come so close so often in major championships in the past, the 27 year old Queenslander collected the 2015 PGA Championship in style, finishing at 20 under par around the challenging Whistling Straits layout in Wisconsin. Day’s score was the lowest ever recorded in majors, eclipsing the previous record of 19 under held by Tiger Woods since the 2000 British Open. Playing in the final group with new World Number One Jordan Spieth, Day’s round on Sunday was rock solid with moments of brilliance and timely escapes from trouble when it sometimes looked like he may be drawn back to the chasing pack. He played the tough 18th hole to perfection, splitting the fairway with one of his trademark drives and hitting six iron from 165 metres to the centre of the green for a regulation two putt and a 3 shot victory over Spieth. With the major hoodoo off his back, Jason Day will surely add more to his tally. His game is growing in strength each year and his new ranking of 3 in the world sees him as Australia’s number one player. Perth&rsquo;s teenage golfing sensation Minjee Lee is on a meteoric rise through the ranks of women&rsquo;s professional golf. Since turning pro in September last year, Lee has enjoyed strong finishes in her first season on the USLPGA Tour with a break through victory in the Kingsmill Championship in May. Her outstanding ball striking and enviable short game have seen the 19 year old rise to a ranking of 15 in the world and become the highest ranked Australian woman. After three rounds of last weekend&rsquo;s Ricoh Women&rsquo;s British Open, Minjee was well placed for a shot at her first major title. Having opened with rounds of 69 and 72, her third round of 2 under 70 was played in testing conditions at the Turnberry&rsquo;s Ailsa Course. However, the young West Australian&rsquo;s final round of 73 left her in a tie for 7th. Like the rest of the field, she simply couldn&rsquo;t match the golf played by South Korean Inbee Park who shot a sizzling final round of 65 to finish at 12 under the card and win the tournament by two strokes from Jin Young Ko. To experience the golf courses and all the fantastic activities on offer in Western Australia, contact the team at International Golf Specialists today. Australia’s Jason Day has produced a stunning birdie blitz over the last three holes to win the 2015 RBC Canadian Open. Starting the final round in the second to last group, Day combined power golf with sublime putting to win the tournament by one shot from Bubba Watson, and take his fourth win on the USPGA Tour. Having come so close to making a playoff in last week’s British Open, Day’s victory and the US$1.05M prize money, will go a long way to erase the memory of the putt he left agonisingly short on the 72nd hole at St Andrews as he bid to win his first major title. Day’s enormous drive of over 350 metres on the par 4 17th at the spectacular Glen Abbey GC in Oakville, Ontario, left him just 60 metres short of the green, and a smart up and down gave him a one shot lead with one hole to play. His unconventional birdie on the last, having found a bunker off the tee, was equally as impressive. With no option but to lay up from the sand, Day played a solid wedge to 20 feet which left him with a tricky downhill putt. The 27 year old Queenslander was not going to make the same mistake two weeks running and his third birdie in a row effectively shut out the chasing pack. To experience the best of Australian golf, speak to the team at International Golf Specialists today. November and December are huge months for golf in Australia with the Australian Masters, Emirates Australian Open and Australian PGA Championship played over consecutive weeks. After a surprise victory in last year’s event, Nick Cullen will be back to defend his Masters crown. The South Australian will be hoping for a repeat of the performance which saw him hold off a fast finishing Adam Scott in 2014. Australia provides some of the best golf experiences anywhere in the world. From Barnbougle Dunes in Tasmania, to the world renowned Victorian Sandbelt courses and the diversity of the West Australia, visitors are guaranteed a unique and memorable golf experience. To arrange your Australian golf tour speak with the guys at International Golf Specialists today. Rory McIlroy’s withdrawal from this week’s British Open has made Jordan Spieth’s shot at a third major championship in 2015 all the easier. Last year’s winner, McIlroy, was a hot favorite along with the 21 year old Texan, but the ankle injury he sustained playing a friendly game of soccer means he will miss the chance to win back to back Open Championships. After winning the John Deere Classic in his last start, Spieth will surely be the man to catch in the ultimate test of links golf at St Andrews. McIlroy’s demise may well have some people believing that Spieth is destined to become the first man to win all four major championships in a calendar year. Rickie Fowler took out the European PGA Tour’s lead in event to The Open with victory in the Scottish Open on Sunday. With birdies on the 15th, 16th and 18th holes, Fowler added to an already impressive year having won The Players Championship in May. Regarded by many as the 5th Major, The Players Championship saw Fowler fulfill so much promise and was a deserved victory having finished strongly in all of the major championships in 2014. With 15 Australians in the field, local hopes will again rest mostly with Adam Scott and Jason Day. Three years on from his capitulation in the 2012 Open, Scott will surely be looking for redemption with his second major, and what better place to rid himself of the demons of three years past than at ‘The Home of Golf’. The 115th US Open golf championship has just concluded with an exciting and controversial finish on the 72nd hole where American Jordan Speith was “gifted” the trophy when countryman Dustin Johnson “three-putted” from 12 feet under extreme pressure! The US Open venue was at Chambers Bay, on the west coast of Washington State. A spectacular and rugged golf course that tested the best professional golfers. Its designer is American Robert Trent Jones Junior, who has designed a number of championship courses around the world. Two of those championship courses are located in Perth, Western Australia, and both are as impressive as Chambers Bay. 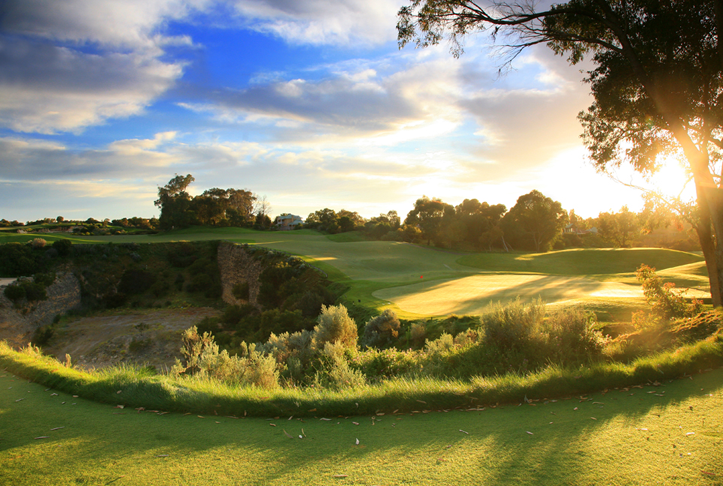 Joondalup Country Club is Western Australia’s #1 public access golf course, with 27 unforgettable golf holes as described by Trent Jones Jnr, “unquestionably one of the world’s finest golfing experiences”. The three courses include The Lakes, an open links style course; The Dunes, a very tight narrow 9 and The Quarry which as the name suggests is cut from an old limestone quarry with the course’s signature par 3 third. Meadow Springs Golf and Country Club offers golf as nature intended, and another wonderful design by Trent Jones Jnr. Meadow Springs promises a unique experience through open bushland. The course winds its way through undulating terrain, the layout dictated by the natural features of the land. Towering 200-year-old Tuart trees line generous fairways and subtly rolling greens that are equal to the best in Australia. International Golf Specialists can arrange Perth golf packages and tours that include the Trent Jones Jnr courses, as well as other international standard courses such as The Cut and The Links, Kennedy Bay. After such a fantastic 2015 Masters Tournament, it seems to have taken an eternity for this year’s second major, The US Open, to come around. With his first major victory at Augusta in April, many people were predicting Jordan Spieth to be going head to head with world number 1 Rory McIlroy for the title. However, both men have had their share of ups and downs in form recently and there are many other players who could find themselves well in contention. With victory in The Players Championship at TPC Sawgrass in May and great results in every major championship in 2014, Ricky Fowler will be one to watch. Since teaming up with Tiger Wood’s former coach, Butch Harmon, Fowler has seen his game and maturity grow and the results are showing. Last year’s US Open Champion Martin Kaymer will relish the chance to defend his title and the smooth swinging German will have every chance with his calculated style of play. Australian hopes are many and the long Chambers Bay course will suit most of the Aussie contingent. Steven Bowditch has shown great recent form and Jason Day knows how to put himself in the running late on Sunday in a major. Adam Scott will be one to watch from tee to green but the wobbles he has with the flat stick could rule him out of contention. No doubt many golf fans around Australia will be up early on Monday morning our time to see if the first Australian since Geoff Ogilvy in 2006 can bring home one of golf’s most sought after trophies. With victory on the USLPGA Tour by Min Jee Lee and Steven Bowditch taking out his second US PGA Tour event, May proved to be a hugely successful month for Australian golf. 19 year old West Australian Lee delivered on the early promise she has shown in her short pro career and won her maiden professional event, The Kingsmill Championship by two shots from South Korean Ryo So-ye. The final round was delayed due to thunderstorms hitting the Williamsburg, Virginia course and when play was halted Lee was left to sweat on a four shot lead. When play continued her lead was quickly reduced to two but Lee regathered and held on to record a memorable win. Steven Bowditch leapt out of the blocks in AT&T Byron Nelson Championship with a stunning opening round of 62 and was never headed, eventually winning by four shots from Americans Charlie Hoffman, Scott Pinckney and Jimmy Walker. This was the second USPGA win for Bowditch with the long hitting New South Welshman having taken out his maiden victory in last year’s Valero Texas Open. The upcoming US Open being played from June 18 -21 will feature a host of Australian hopes including Jason Day, Adam Scott and Steven Bowditch. The long and tough Chambers Bay course in Washington will test the best the world’s best and although Rory McIlroy will start as a hot favourite, we will be hoping for the first Australian victory in the US Open since Geoff Ogilvy took out the 2006 event. Easily accessible from most major Australian centres, Queenstown in New Zealand’s South Island has some of the most spectacular golf courses on the planet. The most recently opened of these Queenstown courses is Jacks Point, which runs along the edges of Lake Wakatipu and provides breath taking views of the Remarkables Mountain Range. In fact, the views alone could keep a golfer occupied while walking around all 6388 metres of Jacks Point. The fact there just happens to be a world class golf course with some of the most amazing views and incredible golf holes anywhere, is more than a bonus. From the opening hole, one could be forgiven for not being fully focused on the first tee shot. With fairways and green perched above the crystal waters of Lake Wakatipu there are many visual distractions on your way to the 18th. It is difficult to pick out a signature hole at Jacks Point, there are just so many that will last in the memory. For me, the short, downhill par three 7th and the long Par five 17th are two that stand out but Jacks Point has so many contrasts and defining features that every hole will be remembered. The food, beverages and Kiwi hospitality waiting for you in the clubhouse are also second to none. The perfect way to relax after your round, but your thoughts will no doubt turn to the next time you will be able to tackle this magnificent golf course. International Golf Specialists provide great golfing experiences for groups and inpiduals wishing to visit the Queenstown region. Our escorted tour in March 2016 will provide a limited number of 20 spots for golfers wanting to take in the fabulous courses and everything else that the Queenstown region has to offer. To find out more about what we will be offering to guests joining us on our Queenstown tour, talk to the team at International Golf Specialists today. The 2015 US Masters proved to be second time lucky for 21 year old American Jordan Spieth, who took out this year’s event with a record equalling score of 18 under par. Having finished second to Bubba Watson in his first Master’s appearance in 2014, Spieth this year went one better with a masterful display of golf, matching Tiger Wood’s score set in 1997 when he won the Masters, his first major championship and also at the age of 21. 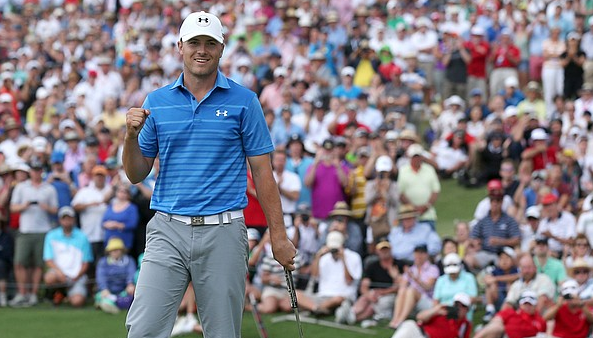 Spieth’s wire to wire victory is one of the most dominant in recent Master’s memory. With an opening round of 64 followed by 66 on Friday, the young Texan proved what many people had thought at the end of 2014, that he is currently playing the best golf in the world. Spieth broke the 36 and 54 hole scoring records and after birdie at the par 5 15th on Sunday, became the first player in history to reach 19 under at the Masters. The win lifts him to number 2 in the World Golf Rankings and will provide great competition over the coming years with pre-tournament favourite and current World Number 1, Rory McIlroy. After the first round, Australia’s hopes of a second green jacket had rested mostly on the shoulders of Jason Day who opened with a 67. Augusta has always provided good results for Day who has finished second in 2011 and 2013. A 74 in Friday’s round however, saw him slide down the leaderboard, making the cut but never again challenging for the tournament. With the 2015 US Masters less than two weeks away, some of the more fancied contenders are beginning to show the kind of form that will put them in contention for the coveted Green Jacket. With victory in the Texas Open on the weekend, Jimmy Walker is in red hot form and looks certain to carry on the great run he had in majors in 2014. Tied for 8th last year at Augusta National, Walker has the all round game needed to be in the running late on Sunday in the year’s first major. Last year’s runner up, Jordan Spieth is again hitting form at just the right time. Victory in the Valspar Championship in the middle of March and a second place finish to Walker at this week’s PGA event will surely have the 21 year old dreaming of going one better in 2015. In late 2014, Spieth was the standout golfer on tour, playing impeccable golf and cementing himself as the most exciting young golfer in the world. With so many other great players vying for their own piece of history, this year’s tournament promises to deliver all the excitement and drama we come to expect from the Masters. 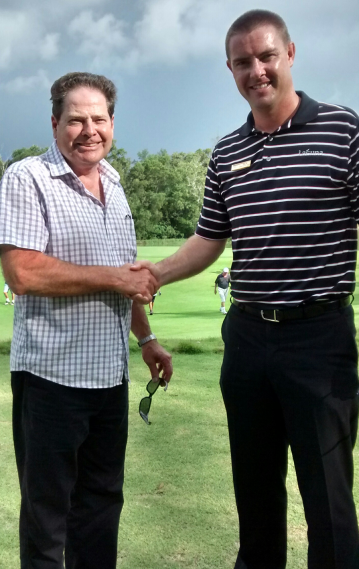 To begin planning your next great golfing experience, talk to the team at International Golf Specialists today. The 2015 New Zealand Golf Open was again won by an Australian with New South Welshman Jordan Zunic finishing at -21 to take out the tournament by one shot from Victorian David Bransdon. In fact, Australians filled the top nine positions with the best placed local hope, Harry Bateman, tying for 10th. This year’s event was co-hosted by Millbrook Resort and The Hills Golf Course just outside of Queenstown on New Zealand’s South Island. There are few places in the world that offer scenery and golf to match that on show in Queenstown and both players and spectators were treated to an incredible week of golf surrounded by some of the most amazing views on the planet. Zunic, who only turned pro six weeks ago, produced a stunning approach shot on the 72nd hole to set up a birdie and claim his maiden professional win. What makes the likeable 22 year olds victory even more remarkable, is that he was involved in a serious car accident just 18 months ago while in the US, travelling with other amateur golfers. The crash left him with serious injuries to his head and elbow and resulted in a considerable loss of blood. To win in just his fourth start as a professional is a credit to the determination of this young man who had once doubted whether he would even be able to recover fully from his injuries to play golf again. International Golf Specialists can arrange everything you need to visit the amazing golf on offer in New Zealand. Our 2016 New Zealand Open tour is sure to fill fast so speak with the team at IGS today to turn your New Zealand golfing dreams into a reality. Perth is rated as one of the best golfing destinations in Australia, and has the benefit of great golf courses combined with beautiful weather and spectacular scenery. Add a vibrant dining & nightlife scene and golfers get great value for money when visiting Perth on a golf trip. 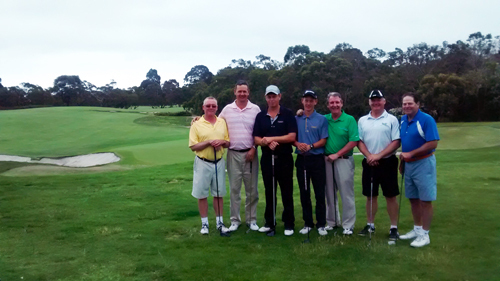 This was the reason for 28 keen golfers from Sydney recently visited Perth for the staging of the 17th Magnum Masters. The players are all members of lower North Shore golf clubs, and most have vied for the Magnum Masters many times in the past. International Golf Specialists was engaged to handle the arrangements for the Magnum Masters group, which included golf & accommodation bookings, as well as private transfers to the golf courses and airport. Entertainment and restaurant bookings were also part of the golf travel complete package. Run over 4 rounds at different Perth golf courses, players “bid” for who they believe will win the daily golf event using a Calcutta system. The courses played were The Vines Golf & Country Club, The Cut, Joondalup Country Club and the exclusive Mt Lawley Golf Club. “We used the team at International Golf Specialists to make arrangements for the 17th Magnum Masters golf tour event in Perth, Western Australia. The Managing Director Gary Allomes looked after our group of 28 golfers very professionally, which contributed to a successful golf trip. I would certainly recommend International Golf Specialists to any golfers looking for a personalised, great value golf package or tour”! BARNBOUGLE LINKS RESORT … THE ULTIMATE LINKS GOLF EXPERIENCE! Barnbougle Links Resort is an amazing golfing destination, located 60 kilometres north east of Launceston, Tasmania just near the seaside fishing village of Bridport. There are two purpose built links courses, the older Dunes course and the newer Lost Farm course. Both are constructed within and around the sand dunes of the Forrester River, and sit adjacent to Bass Strait. 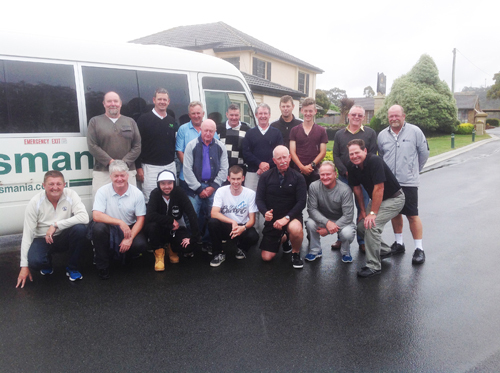 I recently hosted a group of 18 keen golfers from around Australia to Barnbougle Links Resort and we had a memorable experience staying 3 nights at the resort and playing 3 rounds of golf. Both courses have famous American designers, Tom Doak (Dunes) and Bill Coore (Lost Farm) and are designed on the lines of the famous British and Irish links courses. The Dunes is only 10 years old, but looks like it has been around for a hundred years. The Dunes course is Golf Digest #1 Public Access course in Australia … Lost Farm is #2! Jason Day’s victory in the Farmers Insurance Open at Torrey Pines has lifted him to number 4 in the World Golf Rankings. With Adam Scott slipping to 5, since being displaced as the best golfer in the world last year by Rory McIlroy, Day is now the highest ranked and form Australian heading into what promises to be one of the most hotly contested years on the PGA Tour. Day finished his 72nd hole tied at -9 with Americans, Scott Stalling, Harris English and J B Holmes. The Torrey Pines layout, just outside of San Diego, proved to be one of the toughest tests seen in recent years and measuring over 7000 metres, the course separated those with the power games from the rest of the field. The four man playoff was reduced to a two man battle after just one hole, with Day and Holmes making birdie, while Stallings and English could only manage par. A solid tee shot and regulation two putt par on the second playoff hole, the Par 3 16th gave Jason Day his 7th professional victory and his first since he took out the WGC Accenture Match Play Championship in 2014. This ominous form so early in the season will see Day start as one of the favourites to take out the years first major, The US Masters, beginning on April 9. 2013 winner Adam Scott will once again be a force to reckon with, as will last year’s champion, Bubba Watson. With some great results at the Masters in previous years including 2nd place in 2011 and 2013, this could very well be the year that Jason Day grabs his first major title and becomes the second Australian to win the coveted Green Jacket. I have recently returned from Phuket, Thailand from a short visit to meet with the golf course management and golf tour suppliers that support our Phuket golf tours and packages. There are some spectacular golf courses in Phuket, and combined with Phuket’s relaxed, tropical setting a great golfing experience awaits at Asia's most popular beach destination. Phuket is an island and a province, the largest in Thailand and the size of Singapore. Located on the south west coast of Thailand in the Andaman Sea and connected to the mainland by the Sarasin Bridge. Phuket is a golfer’s paradise! With Red Mountain Golf Club and Blue Canyon Country Club both ranking amongst the best golf courses in the world, visitors to Phuket find themselves spoiled for choice with so many quality golf destinations. Phuket provides the perfect balance between a golfing holiday and relaxation at any of the islands five star hotels and resorts. Of particular interest was a visit to the newly renovated Laguna Phuket Golf Club. This golf course is undergoing a complete redesign by the Nick Faldo Design team, and when launched in January 2015, will become one of the “must play” courses in South East Asia. I met with Paul Wilson, Director of Golf at Laguna Phuket, who showed me around the new course with its many water carry’s and challenging bunkering. It will be a great test for all standards of golfers. I plan to return to Phuket in April next year with an Australian golf group, and the new Laguna Phuket course is now well and truly on the International Golf Specialist’s Phuket golfing itinerary. Jordan Spieth’s first visit to Australia for the 2014 Australian Open was one that neither he, nor anyone who watched him win the golf tournament will forget. Spieth lead early and his final round of -8, 63 was some of the best golf ever witnessed in Australia. The blustery conditions and tough pin placements made his final 18 holes even more impressive and his winning score of -13 was six shots better than second placed Australian Rod Pampling. Pre-tournament favourites Adam Scott and Rory McIlroy had disappointing results with McIlroy in particular having a championship to forget. The current world number 1 shot 76 and 72 over the weekend to finish at +2, well back in a tie for 15th. With 15 shots between first and 10th place, the performance of Spieth was truly remarkable and demonstrated the huge gulf between him and the rest of the field. After his victory, the 21 year old Texan suggested that his final round was the best of his career and admitted he had loved his time in Australia and couldn’t wait to come back to defend his title in 2015. And enjoy his time in Australia he must have. At his next start at Tiger Wood’s Hero World Challenge in Florida, Spieth lead from wire to wire, taking out the tournament by 10 shots with an incredible score of 26 under the card and rising to number 9 in the world golf ranking. To find out more about everything on offer in Australia and Australian golf, contact International Golf Specialists today. Australia’s summer of golf is well and truly underway with little known South Australian Nick Cullen taking out last week’s Australian Masters at Metropolitan Golf Club. The 30 year old was ranked 539 in the world before the start of the week and played rock solid golf across the four days before producing the shot of his life from a green-side bunker on the 72nd hole. The resulting tap in putt for his par meant he finished the tournament at -9, 279 to hold off a fast finishing Adam Scott by one shot. Scott had been looking to make this year’s championship his third Masters title in a row, but an uncharacteristically slow start saw him needing to play catch up golf over the weekend. And catch up he very nearly did, with a 60 foot putt at the last on Sunday lipping out, which would have put him in a tie for 1st with Cullen. Scott had to settle for a 68 and tied for second with two other Australians, James Nitties and Josh Younger. In 2011 Cullen had seriously contemplated giving golf away, but victory in the 2012 Indonesian Open and 2013 Queensland Open saw him reignite his passion for the game before his form once again began to fade earlier this year. 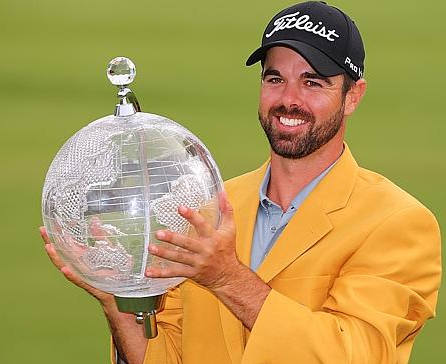 Victory in the Australian Masters however has ensured him starts in upcoming events and a five year exemption on the Australasian Tour and as any struggling tour professional would understand, the $180,000 prize money will be invaluable. International Golf Specialists have great golf packages to events like the Australian Masters … contact us for a quote on a “great golfing experience”! The 2014 summer of golf promises to be one of the most exciting and hotly contested in years. While Adam Scott fell agonisingly short of claiming all three of Australian golfs biggest prizes in 2013, he is back again this year for another crack at winning the Australian Masters, Open and PGA tournaments in succession. In 2013, Scott seemingly had the triple-crown locked away, only to lose to current World Number 1 Rory McIlroy on the final hole of the Australian Open. Since then however, Scott himself has held the mantle of being the best player in the world and he will be out to equal Robert Allenby as the only player to win all three of Australian golfs premier events in the one year. Entering its third edition is the Perth International which is again being staged at Lake Karrinyup Country Club. With $2 Million in prize money, this is Australia’s richest tournament played in one of Australia’s greatest cities. 2013 champion Jin Jeong will be defending the title he won last year and Charl Schwartzel returns to Western Australia for the first time since the inaugural event in 2012. Scwartzel’s form deserted him that year, missing the cut, but assuring the sponsors and fans that he would be back and the talented South African will be strong contender. With the October weather in Perth providing mostly perfect golfing conditions, it is no hard to see why some of the world’s best players often spend a little extra time after the tournament to enjoy everything Western Australia has to offer. For more information on the golf and other attractions available in and around Perth, contact International Golf Specialists today. What do we do for our clientele? There are many terms used by non-golfers to describe people, who in their minds, have what may seem to be an unhealthy obsession with the game of golf. Even the wives of golfing tragics are often described as ‘Golf Widows’ as the usual four and a half hours to complete 18 holes is normally preceded by a warm up and practise, and of course the game must then be analysed by all involved while enjoying a beverage or two afterward. While golfers are always looking for that new piece of equipment to help them play better or a tip from a magazine or golf show on television to improve their game, one thing that can be annoying and distracting is the unsolicited and often unwanted advice given on course by fellow golfers. While they may mean well, 99% of the time the person offering the tip is not qualified to do so and such advice can often do more harm than good. The best people to speak to are obviously those in the know. For example, a PGA Professional is who to see if you want to improve a part or all of your golf game and whether it is an hour long lesson or a series of lessons designed to develop the physical and mental side of golf, it is always time and money well spent for those who are serious about lowering their handicap. The same approach should be taken into consideration when arranging a golf holiday. While some people will take the word of a friend or a golfing partner as to the best destination for them to visit, the best golfing holidays are the ones which have been personalised for each group and inpidual. International Golf Specialists have first-hand knowledge of all of our destinations. We have played the courses and know the local areas. Therefore, we are able to recommend the best hotels and resorts to stay at, the best courses to play and the best time of the year to play them. We provide you with an itinerary that we, as avid golfers, would recommend as the best way to spend your valuable leisure time and get the most from your time on and off the golf course. Speak to International Golf Specialists today to begin arranging your next hassle free golfing adventure. Western Australia’s Number One ranked golf course, Lake Karrinyup Country Club is once again set to host the Perth International in October. This year’s field will be the strongest yet with 2013 PGA Champion, Jason Dufner, who is ranked 16 in the world, heading a list of some of the world’s top players. Dufner finished second to Bo Van Pelt in the inaugural 2012 event and has stated that this year, he intends to go one better. Victor Dubuisson who finished runner up to Australia’s Jason Day in the World Match Play Championships is making his first visit to Western Australia. The 24 year old Frenchman nicknamed ‘Golden Hands” is currently ranked number 20 in the world and number 1 in the European Tour’s Ryder Cup points list. It is highly likely that Dubuisson and Dufner will meet in the Ryder Cup to be played at Gleneagles in Scotland during September and this could provide a taste of things to come at the Perth event. Australian Steven Bowditch, who won his maiden event on the USPGA Tour this year, is joined by Perth local Brett Rumford who won twice on the European Tour in 2013. The winner of last year’s Perth International, Jin Jeong returns to defend his title and a chance for another crack at the $2 Million purse. For more information about visiting Perth and to arrange your next golfing holiday, contact the team at International Golf Specialists today. IGS also offers custom golf packages for the Perth International, which include accomodation, tee times & tours. Jim Furyk’s final round woes continued this week at the 2014 RBC Canadian Open where, having lead at the 54 hole mark, he lost a three shot lead to the fast finishing South African Tim Clark to lose by a shot. This was the seventh time since 2011 that Furyk has let go of such a lead heading into the last 18 holes and he must surely be wondering just what he has to do to claim his first victory on tour since 2010. Furyk can take some comfort from the fact that he barely put a foot wrong on the final day and simply couldn’t match the back nine played by Clark which included six birdies and only 10 putts for a score of 30 to finish at 17 under for the tournament. The diminutive 38 year old from Durban once again showed the kind of form that won him the 2010 Players Championship, his last previous win on the USPGA tour, and his short game master class saw him a deserved winner of the more than $1M first prize. The best of the Australian golfers was veteran Robert Allenby who finished at -7, ten shots behind the winner. This was one of the best finishes in recent weeks for Allenby, while the only other Australian to feature in the top 50 was Geoff Ogilvy who tied for 34th. The winner of the 2009 event, Nathan Green had a disappointing weekend with a pair of one over par 71’s leaving him in a tie for 53rd position. English hopes of their 22 year British Open title drought being broken at this week’s British Open were given a boost after Justin Rose took out the 2014 Scottish Open. Interest in this year’s tournament had been greater than normal after Phil Mickelson won the lead in event to the Open Championship in 2013 and then backed that up a week later by claiming his fifth major championship and first British Open title. After shooting a course record 64 in the opening round, many thought that Rory McIlroy had once again found his form for links golf. Sadly for Rory though, a second round 78 left him well off the pace at the half way mark and effectively ended his challenge. There were no such misfortunes for Rose however who fired a masterful final round of 6-under 65 at the Royal Aberdeen links course to win by two strokes from Sweden’s Kristoffer Broberg. Rose goes into the third major championship of the year having just won his 20th professional tournament and second in succession with victory the week before at the USPGA event the Quicken Loans National played at the Congressional Country Club in Maryland. The winner of the 2013 US Open certainly has the game plan and the focus to make it three in a row at Royal Liverpool. Rose first came to prominence as a 17 year old amateur competing at the 1998 British Open holing his approach shot on the final hole to finish the tournament in fourth place just two shots behind eventual winner, Mark O’Meara. Amazingly, this remains his best finish in the event. If current form is anything to go by however, the world number three has to be the man to beat and will be looking to become the first Englishman to win the British Open since Nick Faldo in 1992. Australian Golf viewers will be wondering if Adam Scott can put to rest the demons from his dramatic collapse at the 2012 event and win his second major title. John Senden and Jason Day are two of Australia’s other best hopes with the quality ball striking of Senden sure to feature if weather conditions become testing. The 2013 ISPS Handa Perth International again promises to deliver the same exciting golf and Sunday drama that thrilled spectators and viewers around the world in 2012. The 2013 event features one of the strongest fields to feature in recent tournaments in Australasia with professionals competing for the $2 million purse. American Bo Van Pelt’s victory at the Lake Karrinyup Country Club layout last year once again put Perth on the international golfing calendar and has seen a host of the world’s top player’s return for the tournament which begins on October 17th. Joining Van Pelt at this year’s event is world number 21 Dustin Johnson. A seven time winner on the USPGA Tour, Johnson won in his first outing in 2013 at the Season Opening event in Hawaii at the Hyundai Tournament of Champions. The 29 year old who stands at 6 feet 4 inches tall and is widely regarded as the best athlete to have ever played the game is sure to thrill the galleries with his huge drives which consistently fly over 300 metres. Other notables at this year’s event include South African Branden Grace who has won four times on the European Tour and Australian Brett Rumford a two time European Tour winner in 2013 with back to back victories in the Ballantines Championship and the Volvo China Open. West Australian runner up at the 1998 US Open, Steven Leaney is looking to the Perth event for a reversal in fortunes. Veteran Craig Parry will also be trying to turn back the clock and Oliver Goss who finished runner up in the US Amateur Championships this year, will give spectators an insight into the future of Australian golf. 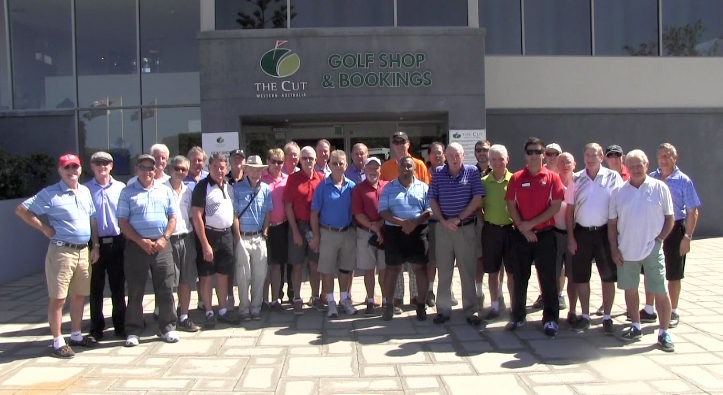 IGS offers a range of Hosted Golf Tours to suit the Perth International. Contact us today to discuss your Golf booking. Adam Scott makes Australian golfers proud. Again! 2013 Masters champion Adam Scott won The Barclays, the opening event of the FedEx Playoffs on Sunday, and in the process has moved to number 2 ranking in the world! Scott played bogey-free at Liberty National, making only two birdies on the back nine for a 5-under 66 that put him in the mix of a crowded leaderboard at the top, including world number 1, Tiger Woods. "I can't believe it, to be honest,"; Scott said after winning the Playoffs opener. "I just played a good round today and I came in and really didn't think it had a chance. But obviously, things went my way a lot out there." Scott won for the second time this year, and at least put himself into contention for PGA TOUR player of the year if he were to go on to win the Cup. The first FedExCup Playoffs event was packed with plenty of energy on a spectacular day across from the Statue of Liberty and the Manhattan skyline. Five players had at least a share of the lead at some point in the final round. Woods put up a great fight despite a back injury. Scott played the final 24 holes without a bogey. Next week it is the Deutsche Bank Championship at TPC, Boston, Massachusetts where the top 100 in the FedExCup standings vie for $US8 million in prize money. I’m sure all Australian golfers will be hoping that Adam Scott can progress through the FedExCup and become the first Australian to win this prestigious golf event and join other past winners such as Woods, Haas, Snedeker, Furyk and Singh. International Golf Specialists (IGS) can tailor a golf tour itinerary to include events such as the FedExCup, US Masters and the Presidents Cup. Put your own group together, or join an exclusive IGS tour for that special golfing dream.